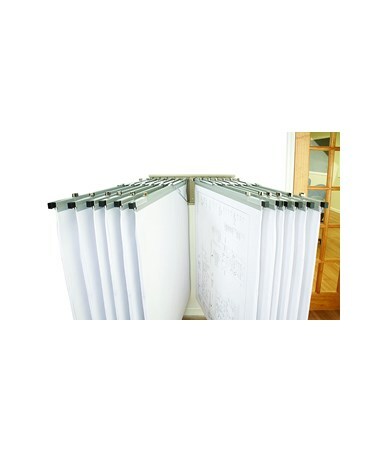 The Mayline Mobile Plan Rack with Hangers provides easy hanging blueprint storage. 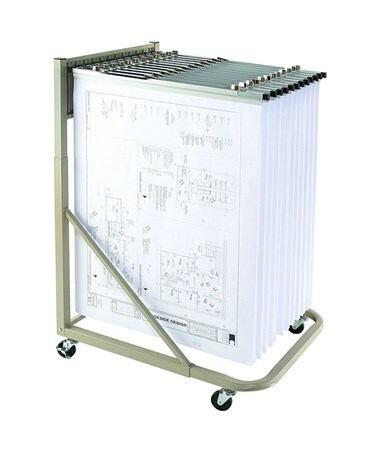 This mobile pivot rack also fits maps, plan drawings, and other large files. Its four swivel wheels and heavy tubular steel construction will support a lot of weight. This rack includes two front wheels lock to hold this mobile blueprint rack in place. This rack has a dimension of 28½ x 26¾ x 45. 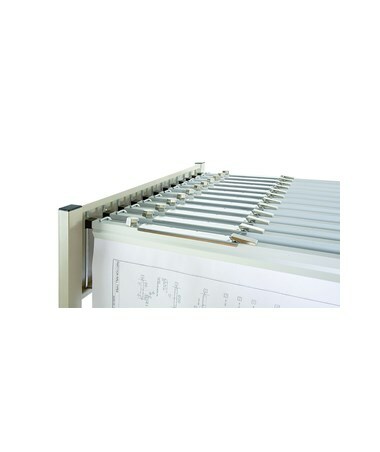 The height of this hanging file rack can be adjusted from 45 to 60 inches. 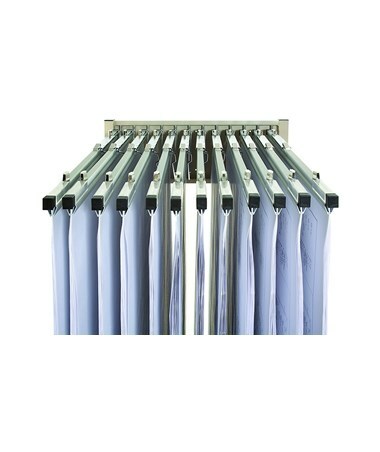 It features 12 pivoting hangers that allow the user to snap in paper clamps 18 to 42 inches long. The length of this rolling stand adjusts from 28½ to 42½ inches to accommodate the chosen clamp size. Hanging paper clamps are sold separately. 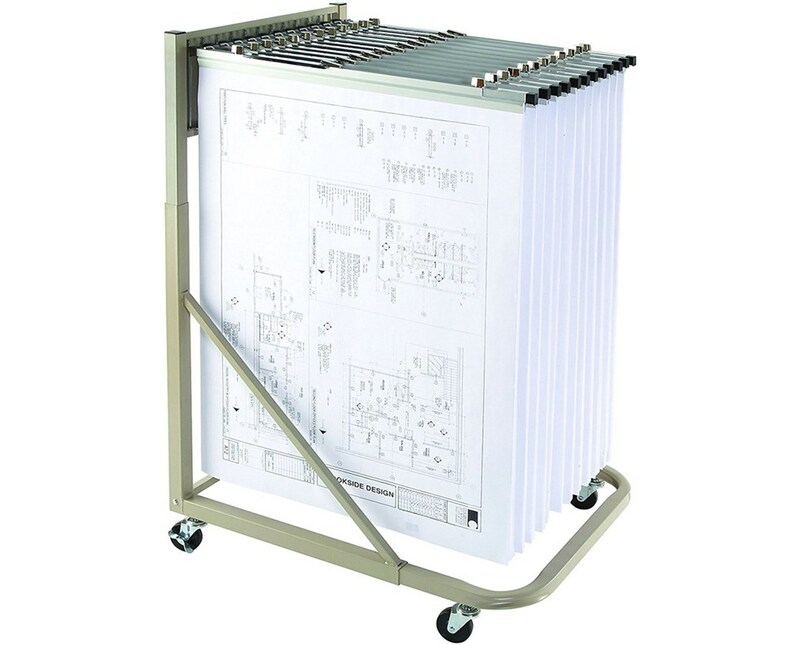 This mobile blueprint rack has a standard color of sand beige and is easy to assemble. In addition, it comes with a limited lifetime warranty.